Vacation Winding Down (97/365 v2.0) – Annoyingly Boring? One of the benefits of a week’s vacation… not having to shave. Alas, the razor caught up to me Saturday afternoon. And with that the montly 9th of the month self-portrait is complete. 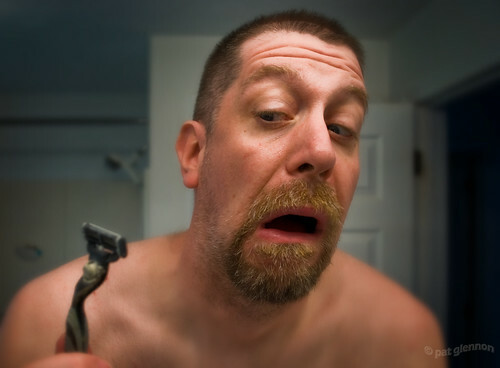 I share your fear of the razor. Good thing I work in IT in a little cubical where there is no dress code because I go to work looking much like your photo…well… sometimes I put a shirt on.